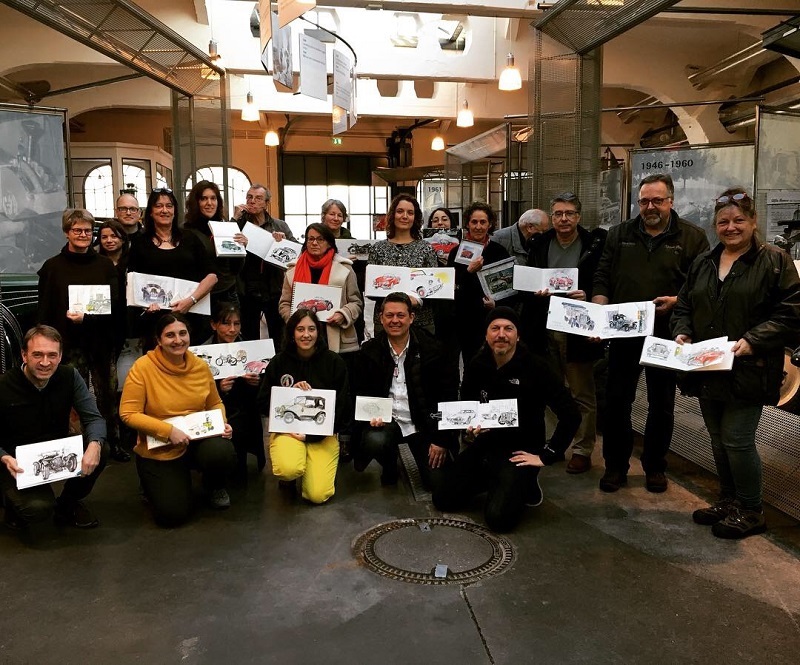 My mother took me on my first urban sketching meeting in Luxembourg about a year and a half ago. Now I attend the meetings whenever I have the time or whenever I am in the country. 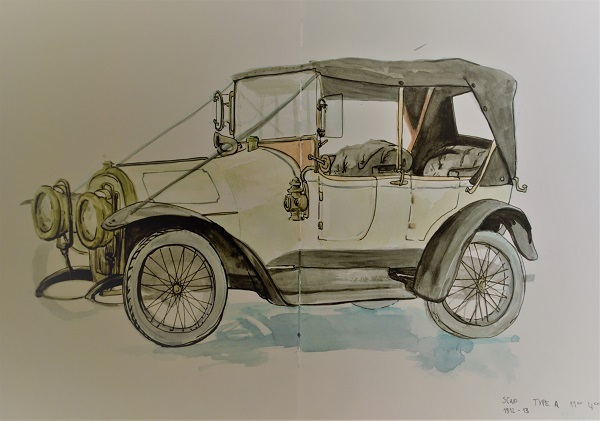 Last month the Urban Sketchers went to Diekirch to draw at the Conservatoire National des Véhicules Historiques (National Museum of Historical Vehicles). The interesting aspect (to me) about this location was that my grandfather used to work there. Back then it was still a car garage. I had never been and was intrigued to learn more. One of my favourite attributes was that the museum still had the original floor and forge from its beginnings. (There was also a beer museum upstairs – maybe don’t drink and drive). 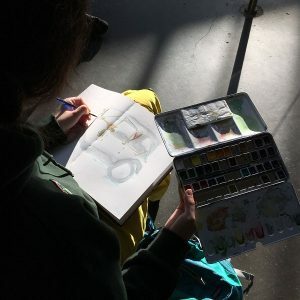 Urban Sketching doesn’t sound like a new movement. Artists have been drawing and painting outside, in urban areas, for quite a long time. The Impressionist movement had taken the artists back out of their workshops and into the street. The USk can be seen as a Renaissance of that movement, only with bigger communities, as a result of the Internet. It is accessible to all, no matter the skill or background. 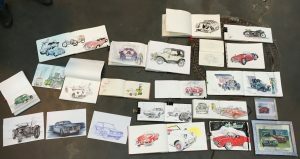 Once a year people from all over the world also meet for an USk Symposium; a week filled with workshops and events. This year’s event is taking place in July, in Amsterdam. My mother, my husband and I went to Diekirch and when we arrived there were already quite a lot of people sketching. More were yet to arrive. There were several smaller groups of friends who had arrived together, others who had come on their own. The level of skill varied from beginners to professional architects and had everyone in between. I looked around the premises, first taking in the architecture of the building and the placement of the cars. I wanted to have one complete drawing at the end and was looking for the right angle. After some indecision I, like many others had done too, took a chair from the empty cafeteria and sat down to draw. As usual I did my initial sketch with a blue lead pencil. I spent the following two hours colouring until I was asked to stop in order to take a picture. Normally I am an impatient sketcher but recently I have become more attentive and I think it shows in the result. After taking the picture I went back to my drawing and added some more definitive lines with my Rothring pen to emphasise the edges.